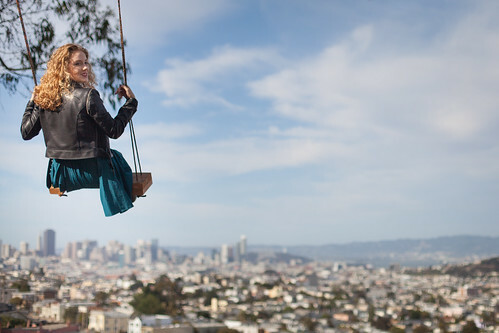 San Francisco belongs to the list of fave weekend and holiday destination for female travelers — especially those traveling solo looking for a respite from their busy lives. From beach getaways to invigorating self-pampering, shopping trips, and indulging in gastronomic affairs, San Fran has you covered. San Francisco is generally safe for ladies traveling solo. But as no area is 100 percent immune to crime, it’s best to always practice personal travel safety and be aware of your surroundings. Here’s our girl’s guide on traveling solo in San Francisco. Whether you enjoy a luxury hotel experience, excellent fine dining, top-of-the-line amenities, award-winning service, or a budget-friendly location, there are diverse options to choose from. It’s best to pare down your choices with neighborhoods that complement your itinerary. It will be a tough choice with so many things to see in San Francisco’s Downtown, South Beach, Nob Hill, and Financial District neighborhoods. Book a San Francisco hotel with IHG well ahead of your travels to save on your room rate. If it’s your first time traveling solo to San Francisco, keep ready and stay alert at all times. Plan your itinerary carefully and conduct thorough research about each place you want to see. Learn about the culture and history of the city, including places you should avoid. Inform your friends or relatives about when you’re leaving and where you’re staying so they can keep tabs on you until your return. Keep physical and digital copies of your travel documents so you can access them anywhere. This should include your passport, credit cards, travel tickets, medical insurance, and vacation itinerary. Packing for a specific season in San Francisco can be a little tricky. The weather can vary by the hour in the city. The key to making your outfit work all day and all night is to wear layers. Take some off when you feel hot, and layer more when the fog starts to set in the Bay Area. Don’t forget to bring your sunscreen and umbrella to keep your skin healthy from the harsh sunlight. Check out our San Francisco travel packing list before you go. Get up early and put on your comfy shoes, coz you’re in for an exciting day of activities. Join a free walking tour around downtown to get a nice overview of what’s on offer in the city, or go on a hike for a scenic view of the Bay Area. Treat yourself to a much-deserved shopping spree with the trendiest retailers and vintage brands. Build your denim collection or stock up on summer dresses. You’ll find every style for every budget. When you’re hungry, San Francisco is the place to be. Take a break at one of the many Insta-worthy cafes or dive into an appetizing seafood brunch at Fisherman’s Wharf while enjoying an ocean view. Shop, dine, wine, and seize the day. Traveling solo in San Francisco is a once-in-a-lifetime experience that’s safe and fun if you come prepared. I have fond memories of my solo trip to SF. A friend recommended a Chinese restaurant to me and the lunch I had there was by far the most exquisite Chinese food I’ve ever eaten. I had always eaten Chinese food in Europe and this was oh so different. It was a simple fried rice, nothing fancy, but the flavours were so new to me I was really impressed. It was probably the most authentic Chinese food I’ve ever eaten, as I have never been to China. Loved eating in SF. One of my favorite cities! It’s a short one hour flight so I take my daughter frequently and we explore the city. Reading this makes me want some dim sum! Really useful tips for solo female travelers aspiring to go to SF. Often when we travel as a group or with family, like I do, the travel style changes. But when traveling solo, it’s very important to get that perspective for the solo traveling. I also travelled solo to San Francisco and I had a great time. And I totally agree about the “Being Waterproof” advice. I packed the completely wrong apparel for San Fran and I ended up having to buy stuff there. Great post! If I come back to the States (ok.. when I come back) SF is on my wish list. I’ve only been to New York and Philly so I would love to explore more the US. I visited San Francisco 7 years ago and I love this city. Of course, I have taken photos of the bridge on a foggy day :-) I definitely need to go back and visit more spots for a better view (you can do nothing about the weather, right ?) ! I’ve heard that SF is a great city to visit:) Haven’t been to the US West Coast yet, so that’ll have to be put on the list! I travel solo a lot, so it’s nice to have tips handy. Thanks! I absolutely loved San Francisco when I went which was around 12 years ago now! 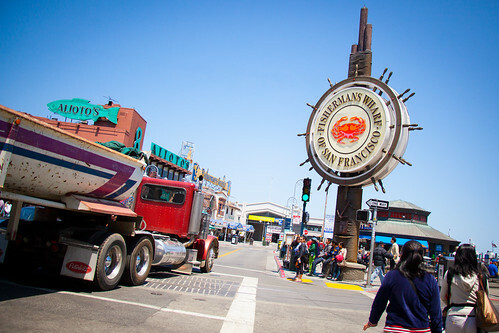 I loved Fisherman’s Wharf and I think it’s a great idea to do a free walking tour – it’s such a lovely city to wander round. I think it’s time I returned!